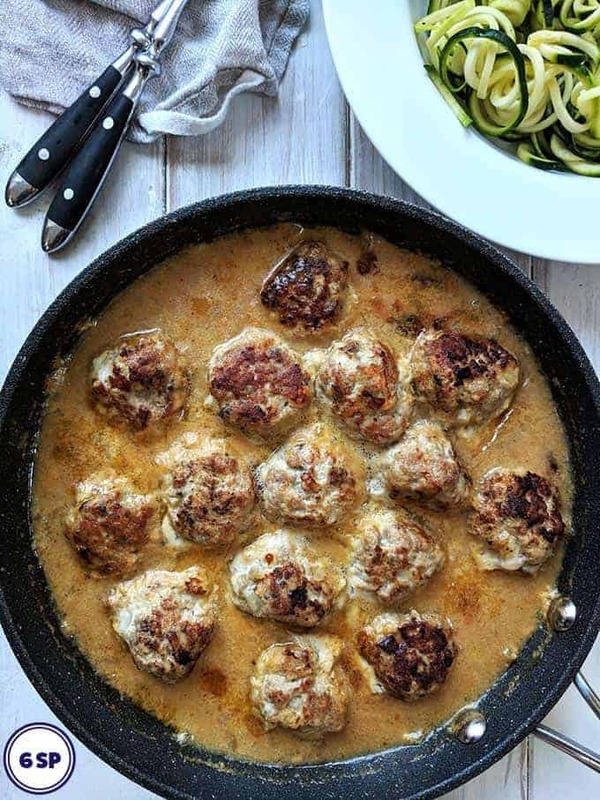 These great tasting Swedish Meatballs are smothered in a rich creamy sauce. Serve them nestled on top of a pile of courgette (zucchini) noodles for a delicious 6 SmartPoint dinner. 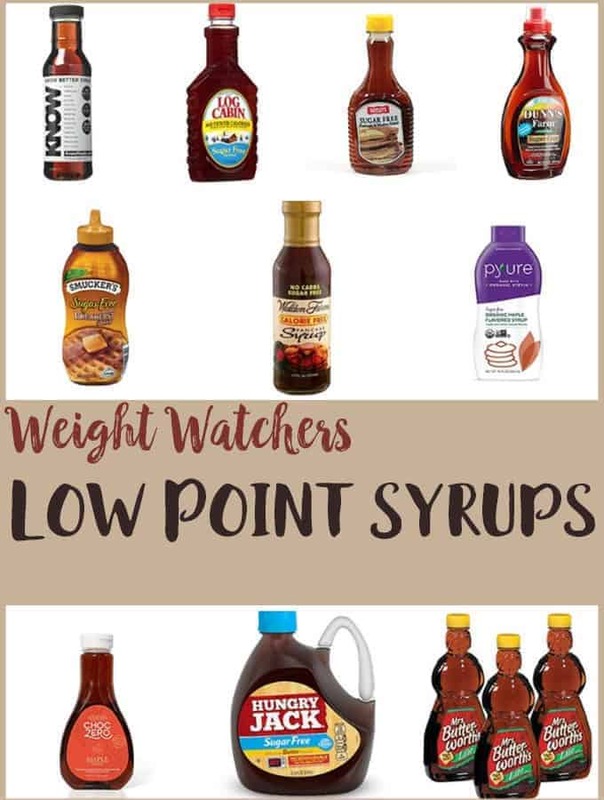 Jump straight to the recipe, or if you would like some Weight Watchers tips and hints or some tweaks that you could make to the recipe to reduce the SmartPoints further, carry on to the post below. These meatballs can also be served with noodles, rice or with a serving of creamy mashed potato for an ultimate comfort meal. If you have ever been to IKEA (and who hasn’t) you will probably have seen, or perhaps even eaten, their meatballs covered in a thick creamy sauce. 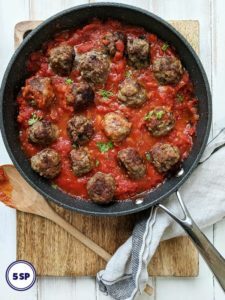 Well this recipe is a Weight Watchers friendly take on those yummy meatballs. According to IKEA’s nutritional information, their meatballs with cream sauce would set you back 21 SmartPoints and that doesn’t include the mashed potato! That would set you back a further 4 SmartPoints! 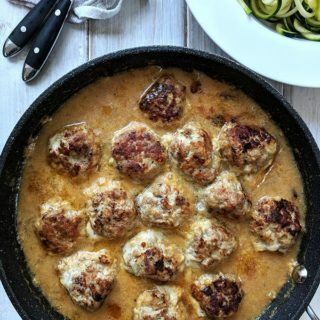 These Swedish Meatballs are just 6 SmartPoints per portion. You get between 3 and 4 meatballs per portion (dependant on the size of your meatballs) and a good helping of thick and creamy sauce. Serve with a small serving of creamy mashed potato for a real IKEA experience 😄 for an extra couple of points! 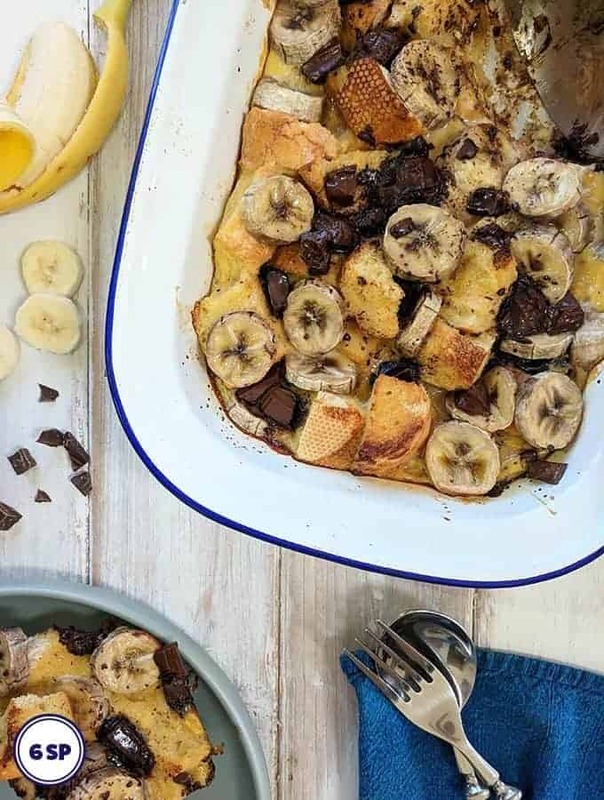 I’ve tried this recipe a number of different ways. I experimented with mixing the onion into the meatballs and also by adding the diced onion to the gravy. I’ve tried grating the onion and I’ve tried dicing the onion ( yes, I’ve eaten a lot of meatballs over the past couple of weeks 😊). I prefer this recipe, with diced onions mixed into the meatballs! It makes for a tastier meatball with a creamier gravy! Use a large nonstick skillet like this one, available from Amazon. I used this Spiralizer, available from Amazon, to make the courgette noodles that I served with these Swedish Meatballs. I used Lightest Philadelphia cream cheese in this recipe. 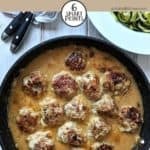 You can serve these meatballs with pasta, rice, mashed potato or mashed sweet potatoes for extra SmartPoints. Serve with zucchini noodles, carrot noodles, spaghetti squash or butternut squash mash for no extra SmartPoints. Use turkey breast mince and reduce the Points to 3 SmartPoints per portion. I used Lightest Philadelphia cream cheese in this recipe. 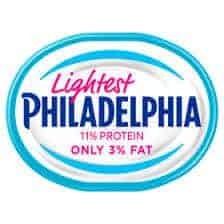 If you use Philadelphia light cream cheese this will add an additional 3 SmartPoint to the whole recipe. 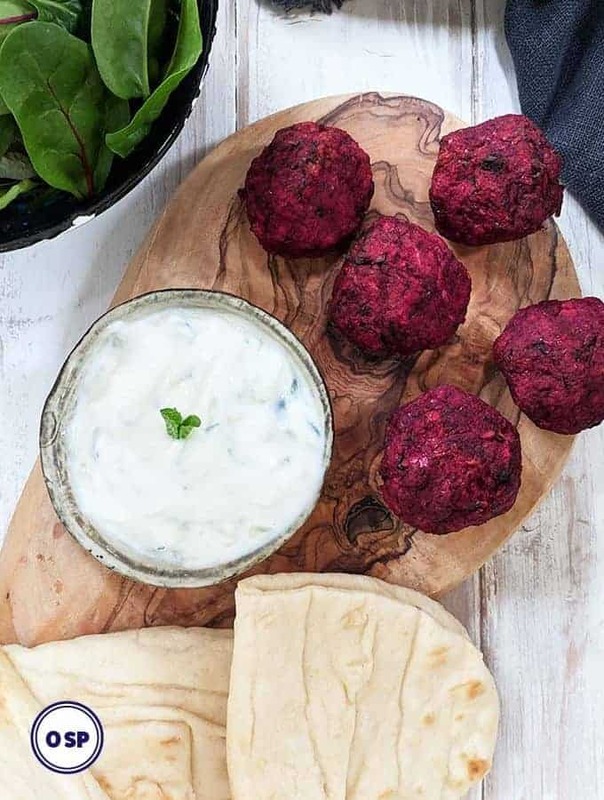 These beef meatballs coated in a smooth, creamy sauce are just 6 SmartPoints per serving on Weight Watchers Freestyle / Flex plan. Place the mince/ground beef, onion, breadcrumbs, allspice, nutmeg, garlic powder, pepper, salt and egg in a large bowl. Using clean hands mix until all the ingredients are combined. 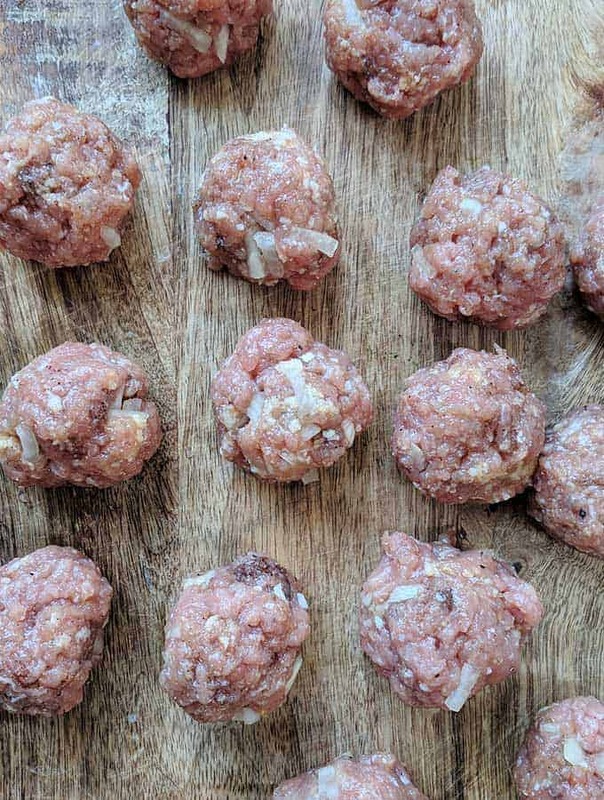 Roll into 16 - 18 small meatballs and set aside. Heat 1 tablespoon of oil in a frying pan / skillet and over a medium heat add the meatballs, turning until they are brown all over and are cooked through. Remove from the skillet and place on plate and cover until needed. Still with the pan on a medium heat, add a couple of tablespoons or stock to the pan. Use a wooden spoon to de-glaze the pan by scraping all the browned bits from cooking the meat into the liquid so that it melts. Add the Worcestershire sauce, Dijon mustard and the rest of the beef stock and stir. Bring to a boil and then reduce the heat and simmer until the sauce has reduced by a half. Reduce the heat further to a low heat and stir in the Philadelphia cheese, making sure that it has all melted before adding the cooked meatballs. Stir and cook for a further 5 minutes. Serve on courgette / zucchini noodles, or with rice or potatoes or noodles if you have the SmartPoints to do this. I am so pleased that you enjoyed them Sue 😊 Thank you for your comments!